This print below was developed for Sho Gallery’s 5th Birthday exhibition. 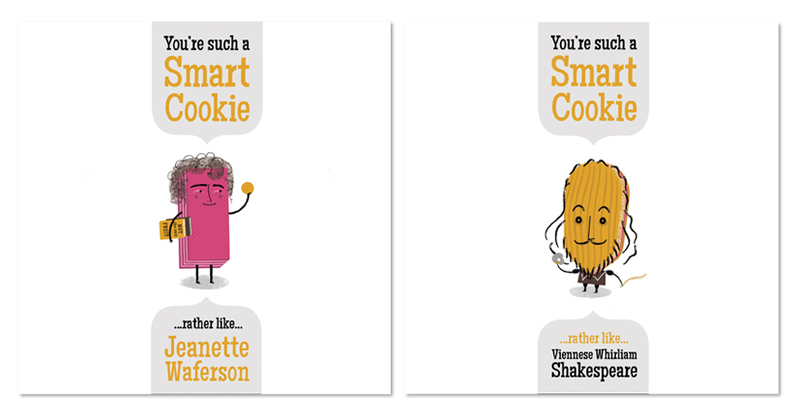 We love bringing a fresh perspective on common phrases that get used everyday, and we love this selection of smart cookies rendered as some of our favourite biscuity treats. 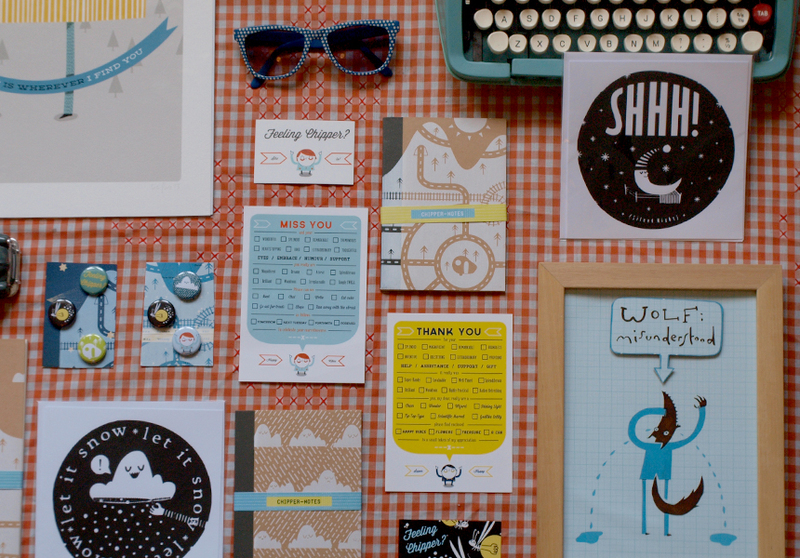 Chipper Designs sells a selection of stationery and prints through Welsh galleries and online here. These are designed with Chipper’s main focus in mind – to delight, lift and make your life a little brighter. A full selection of the products on offer can be found in the shop section of the site. 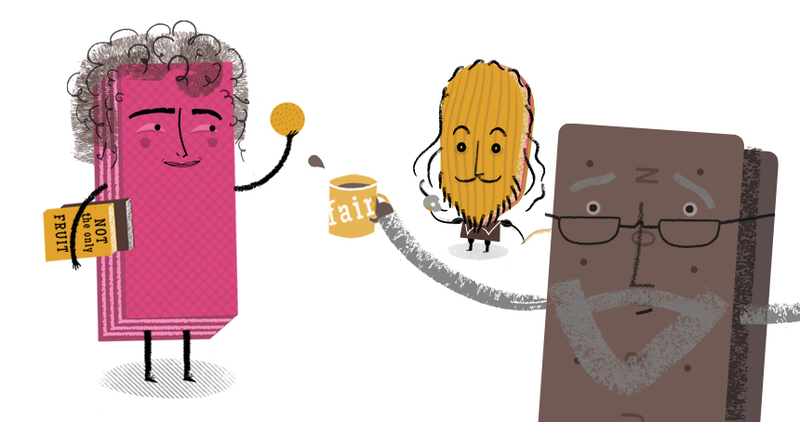 A detail from chipper designs for a ‘Thank You’ card, to delight and amuse. 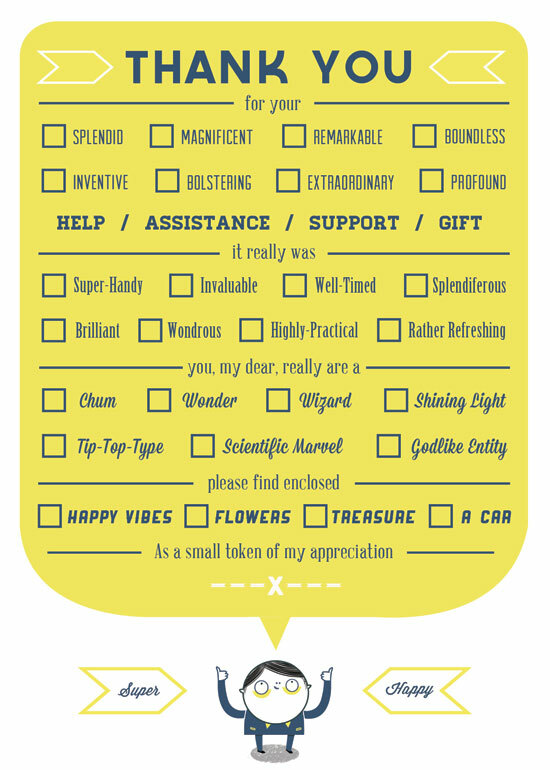 This card will be available to purchase soon from here. Watch this space! 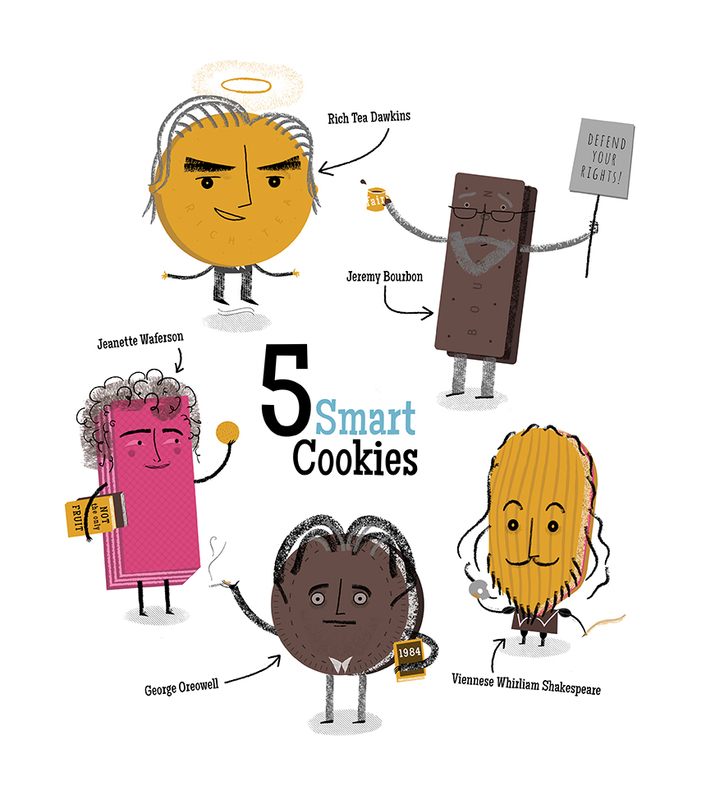 This illustration was commissioned by writer, Jenny Kowalzcuk for her website. She gave me a dream brief – choose some quotes about writing, and see what you come up with. The result is the set of 4 writers quotes available to view under illustration. I love working with text and find the integration of type into image really engaging – finding a balance that works whilst still communicating effectively. I’ve loved Roald Dahl since The Witches so it was a pleasure to work from his words.